Let your CA Plex minds wander and see how this can help your site. You can keep it open while you work and use it as a palette from which you add further objects. You can resize the ObjectBrowser+ and position it anywhere on the screen. No matter if the object is a scoper or scoped, the objects are displayed regardless of scope such as the option 'Show Scoped Objects At Top Level' within the CA Plex Object Browser. a grid version to record and communicate objects to promote during the development cycle. a tree version which is kept open while conducting impact analysis with a view of creating lists to record the project work. By default, the Object Browser+ shows you ALL object types at a time. Notice that the Object Browser+ has shortcut buttons for displaying all, functions, views, tables. Toolbar button Show/Hide Library Objects to show or hide library objects. Defaulted to Show Library objects. Toolbar button Show/Hide Generatable Objects enables the view to hide non generatable objects. Defaulted to show all objects. Toolbar button Restrict on Language allows the view to be restricted to a particular generation language setting, the different language values can be accessed by the button's right context menu. 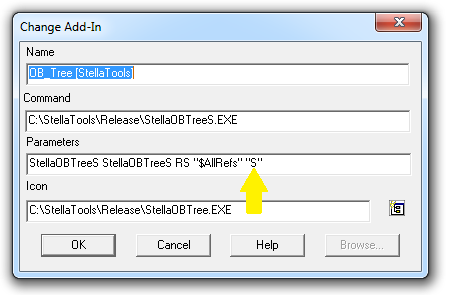 Toolbar button Process Panel Data triggers an event to process all selected objects (GRID version) or view (Tree Version) by calling a dummy client external function which can be replaced with your own processing dll. Drag and Drop would have been nice but the Plex IDE is not a OLE-enabled application.